Carolyn Porco, the lead for Cassini’s imaging team, warned on Twitter that the flyby of Saturn’s moon Enceladus performed by the spacecraft on Nov. 2 wasn’t really an “imaging” flyby, and that we might have to wait until the Nov. 21 flyby for really good images. But just take a look the images returned so far, with stunning looks at the jets shooting from the moon! Another image takes a close look at the surface. These are raw, unprocessed images, but what images they are! This is the second image from today’s flyby returned by the spacecraft. See below for more. Cassini came within about 100 kilometers (62 miles) of the surface. The spacecraft has gone closer during a previous flyby (25 kilometers or 15 miles). This is the third image sent back so far from this flyby, showing the surface of the tiger-striped, geyser-spewing moon. According to the CICLOPS website, this image was taken in visible green light with the Cassini spacecraft narrow-angle camera at a distance of approximately 14,000 kilometers (8,700 miles) from Enceladus. The plan was for the spacecraft to go deep into the heart of the plume from the geysers on the tiger-striped moon; as of yet no images from the plume have been released. 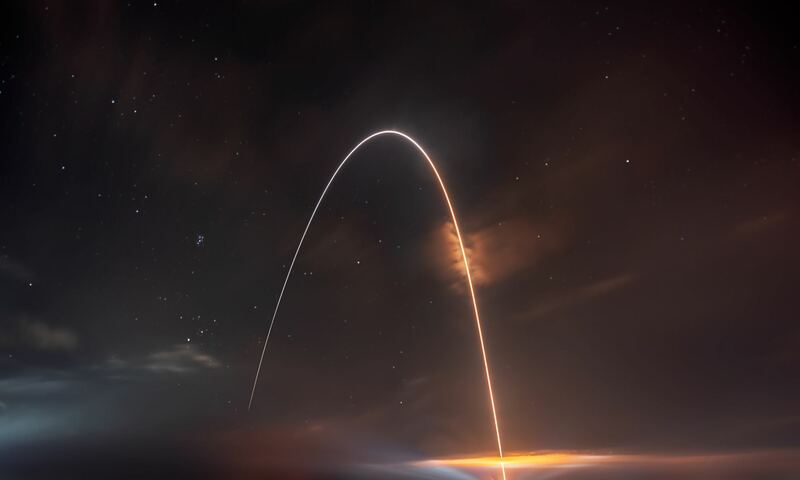 The objective of this flyby was to analyze the particles in the plume with instruments that can detect the size, mass, charge, speed and composition. The spacecraft spent only about a minute in the plume. Here’s a view from farther away, with the plumes visible against the backlit moon. We’ll add any more images that become available. Beautiful. Can’t wait to see what the ‘really good’ images from the next fly-by are like! Amazing, However, perhaps the digital age is getting to me, but i find the moniker RAW as meaning (photographic RAW) rather then unprocessed and dumped down to a 160K jpeg in a moment of exuberance. The announcement tends to be misleading in that sense. Also Unprocessed and Uncompressed are similarly misleading. The middle picture appears to show a nearly prestine surface. It appears almost as a fresh layer of snow. That’s awesome. It’s almost comet-like. I am interested in the cicrular blobs near th bottom. Could they be impacts craters that have been smoothed over by new snow/ice? Thanks to Nancy for posting these jaw-dropping images from Cassini, the gift that keeps on giving! @LBC and BeckyWS, the circular ‘blobs’ present in that 2nd image are most likely buried crates on the moons surface. The lack of fresh, recent impacts points to a geologically young surface almost certainly modified by the ice geysers shown on the other images. This is good evidence of a geologically active moon with frequent dynamic activity that modifies its surface constantly. I suppose the snowfall is from the plume. It appears that the geyser shoots the stuff up pretty high compared to the moon. Enceladus is pretty small so the gravity can’t be that large. It looks really cold there! Absolutely awe inspiring! I do hope I live to see robotic landers on Enceladus and Titan. @LC: very cold and mysterious! Yes, although we knew you meant craters, unfortunately your typo could open up the conspiracy theorists threads. What tremendous images, I’m so glad I live in this era of discovery. Keep ’em coming Cassini! Next PostNext Do “Skeleton” Filaments Give Structure to the Universe?